This weekend! Not to be missed. Christmas came early this year for those who enjoy Fall River history and have an interest in the Borden case and the enigmatic Miss Lizzie. Parallel Lives was released this morning to the public. By 11: 30 a.m. a long line snaked its way down the pavement toward Maple Street and there was a feeling of restless expectation in the air as the noon hour approached. . A man came around the corner bearing two copies of the coveted tome as heads swiveled to catch a glimpse. A spontaneous outburst of appreciation went up from the crowd followed by many comments as to the SIZE of the massive tome. No preview copies were released for reviewing to anyone, so it was with enormous excitement today’s release was anticipated. Beginning on Friday, the benefactors of the publication enjoyed a special gathering, followed by Saturday night’s annual Christmas Open House for members, and capping off an extraordinary weekend with today’s public release of the book, viewing of a special exhibit of materials featured in the book (cards, letters, gifts Lizzie presented to friends, etc.) and a tour of the Christmas decorations, always an annual treat. The authors held court in the front parlor at a beautifully decorated table with a red rose Christmas arrangement, signing autographs and having photographs taken with visitors. On the lawn, on the stairs, and anywhere one could sit, people clutched their volume, looking eagerly through the pages. From all corners came appreciative little shrieks of excitement as never-before-seen photos were discovered, especially those showing Lizzie herself. Even those who vowed not to ruin the surprise until they could sit at leisure soon gave way to overwhelming curiosity and were soon leafing furiously through the pages. Some had driven hours to pick up their copies. To Rock Street fly like the down of a thistle. 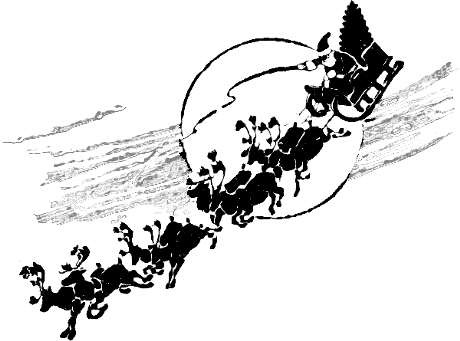 Happy holidays to all, and to all a good read! Have your copy of Parallel Lives autographed. Pre-ordered your copy? 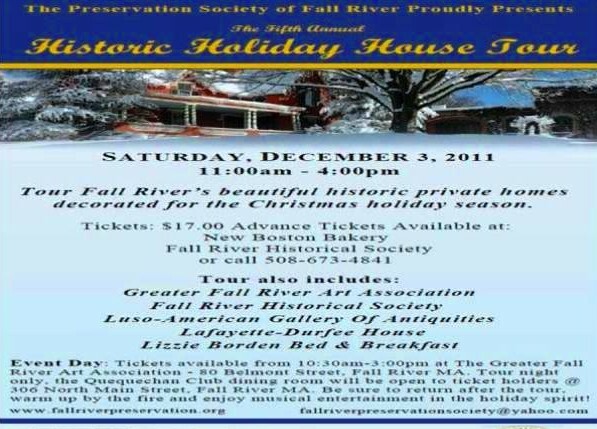 Not to worry, pick it up Sunday at the Fall River Historical Society Book Signing! Don’t let your friends beat you to the punch! 1000 pages and over 500 photos. You just may have to take your vacation next week! Come back over the holidays to see a very special exhibit of ephemera and other items discovered while researching for the book: notes, cards, letters and more from Lizzie’s own hand. Who could ask for anything more? 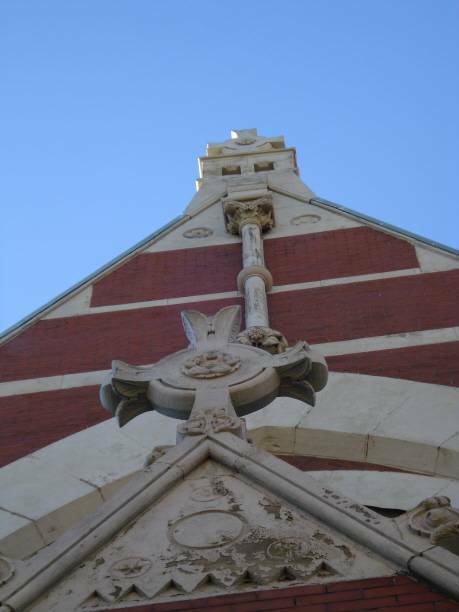 With a wrecker’s ball looming over the spire of the historic Central Congregational Church, today’s announcement in the Fall River Herald News brings a sigh of hope to city preservationists. The Ruskinian Gothic structure of red and white brick, designed by the prestigious firm of Hartwell & Swazey, was, until recently a culinary arts school with an attached restaurant, The Abbey Grille. The business went into foreclosure, the edifice was boarded up and weeds set in. 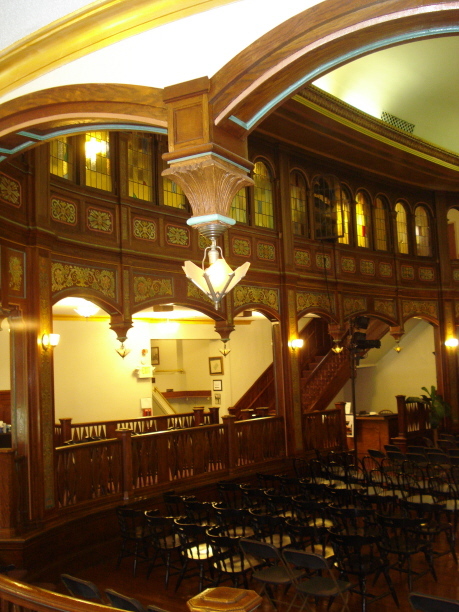 The scenario looked bleak for the church, once the bustling religious center for many of the city’s society families from The Hill section. 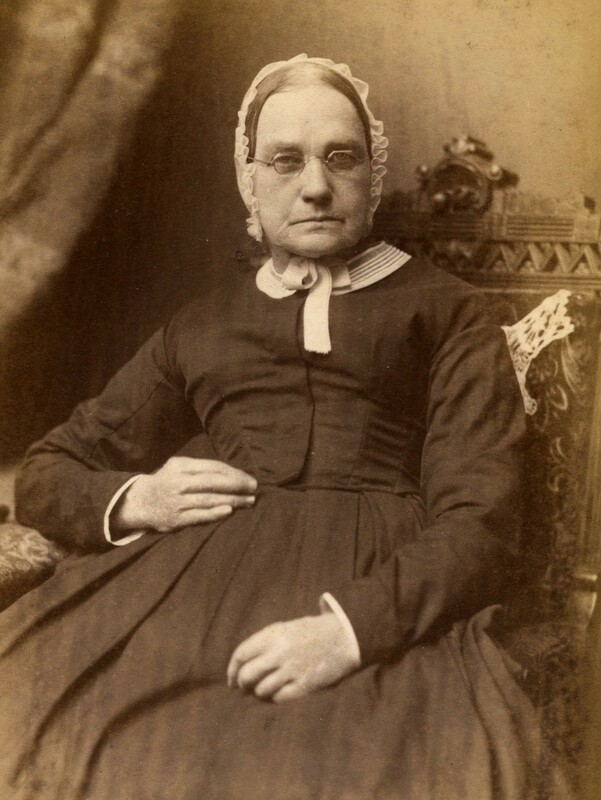 Andrew Borden paid for a pew in the vast sanctuary, although it was primarily Lizzie alone who attended regularly. Jerry and son Chris Donovan have restored and rescued other properties in the city, most notably the old Eagle on North Main Street, now a center for performing arts. The historical commission is back in business and it looks like great things are in the works! Good news indeed. The Eagle on re-opening night. The sweet-faced lady on the piazza holding her pet is a far cry from the caricature of the raging homicidal spinster so often portrayed as being Lizzie Borden. The bobbleheads, tee shirts, and cartoons may have to undergo a re-do. 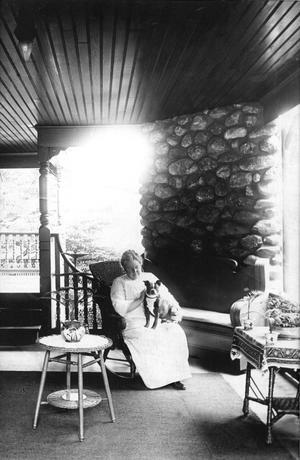 Parallel Lives, the long-awaited biography of Lizzie and her times has released this amazing photograph of Lizzie with one of her Boston bull terriers (Laddie Miller), said to be taken around 1916 on the back porch of her French St. home, Maplecroft. So will this photo and new bio change your mind about Lizzie? October has always been a 4 star month for all things Lizzie, but this year as Halloween draws nearer, the case is everywhere. 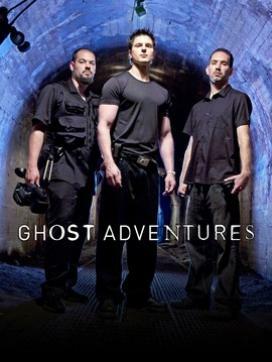 Tonight Ghost Adventures showcases their investigation at Lizzie Borden Bed & Breakfast Museum (Friday,Oct 21) at 9pm and Saturday Oct.22 12am or midnight on the 21st. The crew from CBS Sunday Morning with Charles Osgood visited Lizzie’s last weekend (the same day Aron Houdini (relative of the famous Harry) came to entertain staff and guests. That segment will air on October 30th at 9 a.m.
Oak Grove Facebook Quiz Tonight at 10! Tune in tonight,( September 15th) at 10 p.m. for the first ever (but not the last) So you think you know Oak Grove Cemetery? Jeopardy- style online quiz. * Contestants will need a free Facebook account to post answers. 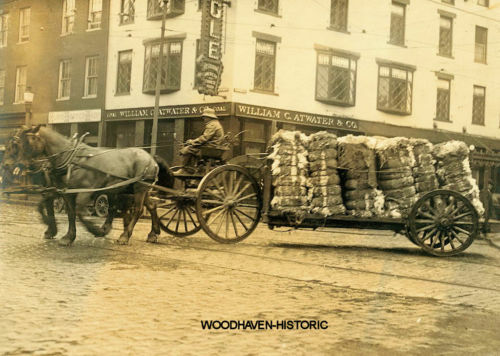 A recent W&W purchase from Ebay shows a great vintage photo of bales of cotton in transit to the mill to be spun and woven. Guessing on just where this photo was taken, and going by the GLE on the sign in the background, this looks to be North Main Street in front of the old EAGLE building. Can anyone confirm this? 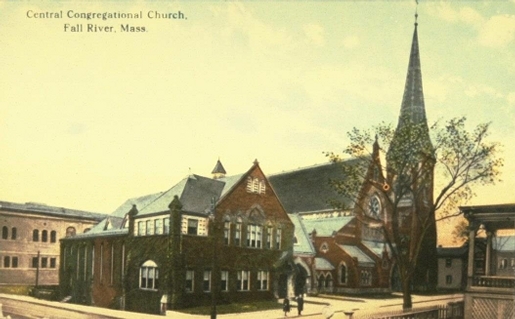 There are many wonderful Fall River photos to be bought at a bargain on Ebay at the moment. The spirits were restless last week at the Borden house! My Ghost Story crew checked in on Sunday the 21st. This is a program featured on the Biography Channel. http://myghoststory.com/ Monday- Thursday morning, the well-known crew from Ghost Adventures were in residence with equipment for their “lock down”. Fans of host, Zack, knocked on the door of #92 and looked longingly through the windows hoping for a glimpse of the handsome host. Word has it that some interesting EVPs were captured by the team. This weekend, as hurricane Irene blasted the Northeast, Jeff Belanger, lecturer and author of paranormal books camped out for the weekend. http://www.jeffbelanger.com/ All in all, the old house on Second Street had an exciting time of it and weathered the hurricane without incident. Air dates for these programs featuring the Borden house have yet to be announced. Joseph Wilmarth Carpenter, Jr. left the Borden & Almy business “under a cloud”, and with some hard feelings toward crusty Andrew Borden. That news was known about town. After Andrew Borden was murdered, Mr. Carpenter’s history with the victim made him a “person of interest.” He may have done better to stick around town and face the music. Still, he was off the hook with an air tight alibi. 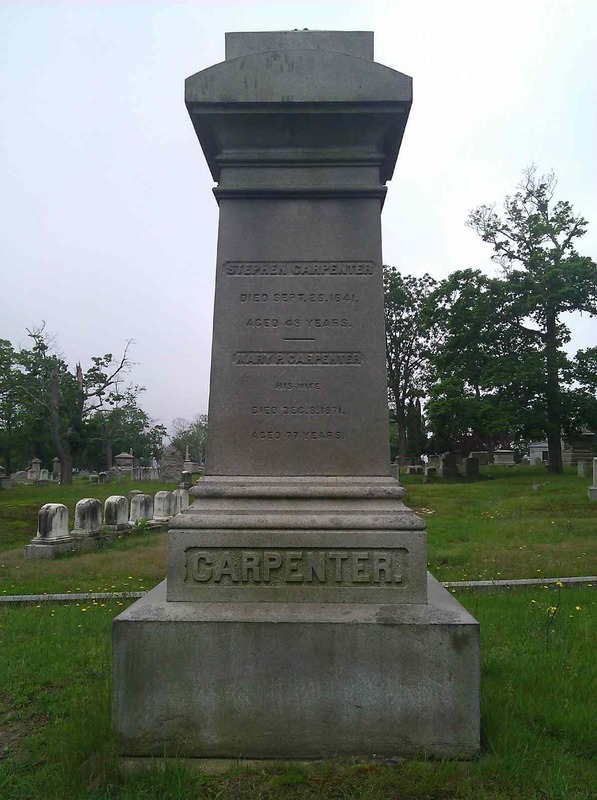 Carpenter’s family monument and head stone is seen below in Oak Grove Cemetery. 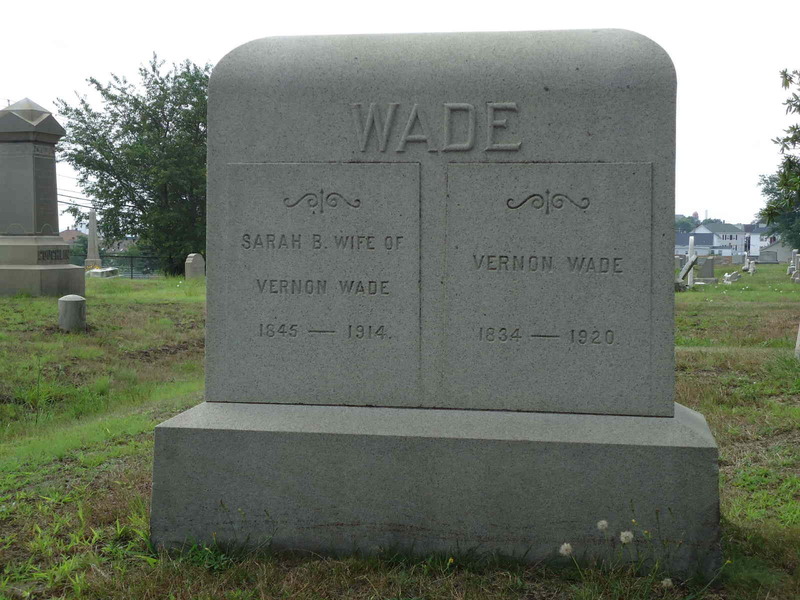 For students of the Borden case, the name of Wade’s Market crops up several times. The little local grocery was located just to the south of Dr. Kelly’s house and had the number of 98 Second St. Newspaper story stringer and newspaper vendor, John Cunningham had just exited Wade’s and was heading north on Second Street when he overheard Adelaide Churchill telling Tom Bowles of the carnage on the Borden sofa. Cunningham subsequently headed to Gorman’s paper and paint store to telephone the police station, after first informing the newspapers of the sensational story unfolding at the Borden house. It wasn’t long after the discovery of Andrew Borden’s body that news of the murder was heard in Wade’s store, where the lunch hour crowd got the details of the gruesome killing while awaiting their nickel’s worth of bologna lunch meat. Above Vernon Wade’s store lived Mary and Nathan Chace. Mary Chace was the lady who had seen a man stealing pears out of the Borden back yard earlier in the day. That man was soon run down and turned out to be an innocent party working in Crowe’s yard. 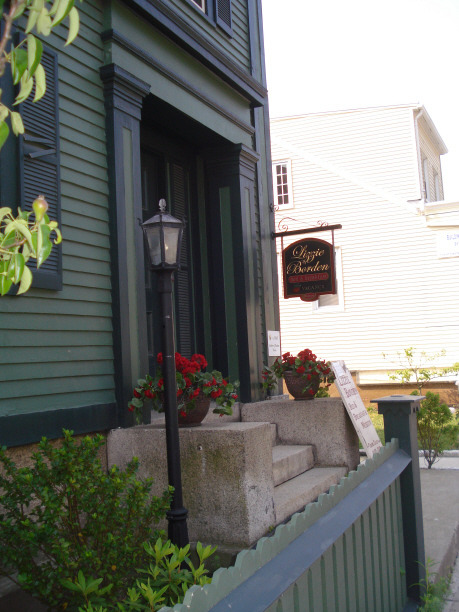 It is probable that Abby and Lizzie Borden frequented Wade’s often. Vernon Wade’s substantial and handsome stone is at the southernmost end of Birch Avenue very close to the Terry plot where Lizzie’s chauffeur, Ernest Terry is buried. If you stand in front of the Terry plot and look west, you will see the Wade monument. Lizzie’s old church in danger- again. Many anxious eyes are watching the outcome for the old Central Congregational Church on Rock St. The building by Hartwell and Swazey is of significant historical value, and is in a state of disrepair currently that requires considerable money to restore. Here is a new video detailing the history of the edifice. Here’s a fascinating newspaper clipping detailing the early days of Fall River when Main Street had to content with a monstrous outgrowth of granite called the Cleft Rock. Click on the pdf link below to learn what became of it. 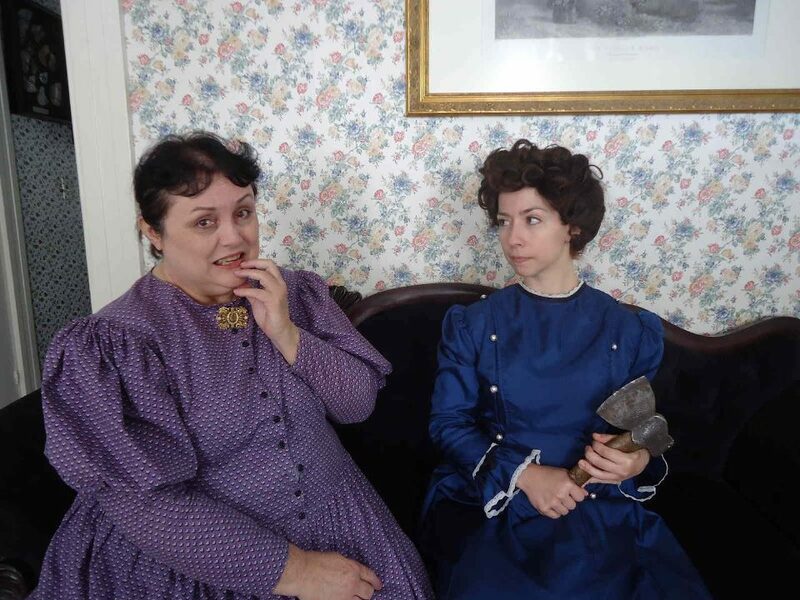 This year the August 4th production at the Lizzie Borden Bed and Breakfast will debut a new leading lady. She is no stranger to the part. The photos here are taken from an episode filmed last summer for the Travel Channel. Kathleen Troost-Cramer, day manager at the famous B&B in Fall River, may be remembered for performances in years past as Irish maid, Bridget Sullivan. This year, having gotten in a few practice whacks with a hatchet, Kathleen is ready to take on the legendary Lizzie Borden, probably the most difficult role of the lot as expectations are so varied and anticipated by the sold-out crowd which assembles every year on the 4th to re-live the Borden tale of mystery. Mild-mannered mother of two, and Bible scholar, this role is quite a stretch, but anyone who has been “under the hatchet”to Kathleen can testify- she means business! Congratulations and “break-a-leg” to Kathleen as we wait to see her unique spin on the unforgettable Lizzie Borden! First performance on August 4th at 10:30 a.m., last performance at 3:30 p.m. Grave of Joseph Courtemanche (Shortsleeve) His name is not on the stone. Joseph Shortsleeve immigrated from Canada in 1876. Listed as being born in English Canada in 1847 as Joseph Courtemanche, he americanized his name to Shortsleeve as did many French Canadians in Fall River. He was trained as a carpenter and worked for Andrew Borden. On the morning of the murders he was with Jim Mather at a store near the corner of Spring and South Main putting in a new window for Jonathan Clegg, one of Andrew Borden’s commercial tenants. Mr. Borden owned the property. Andrew had bumped into Mr. Clegg near the Granite Block on his way back home and had promised to check on the window that morning. Joseph Shortsleeve appears in the 1910 census as living at 40 Dover Street, a widower with several single daughters to support. 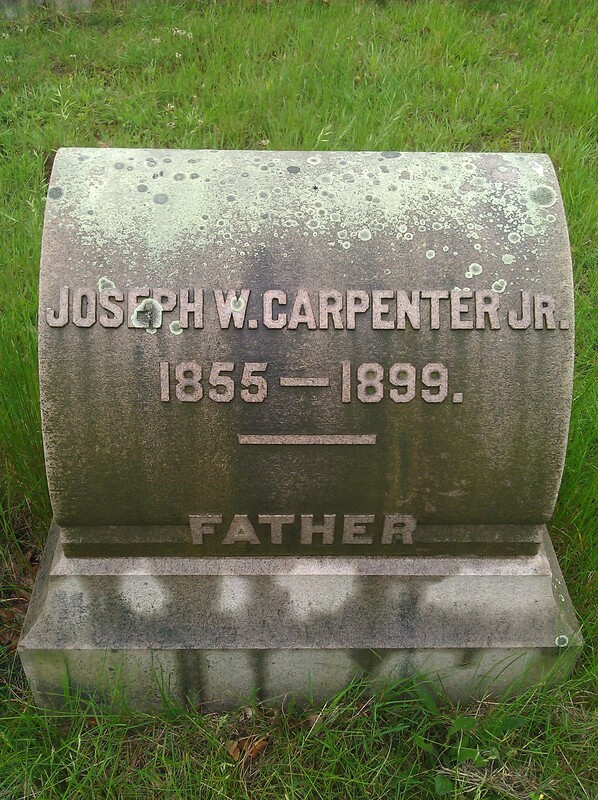 He is still listed as a carpenter in 1910. He was 45 on the day of the murders and was questioned intently so as to fix the time of Andrew Borden’s arrival at home. 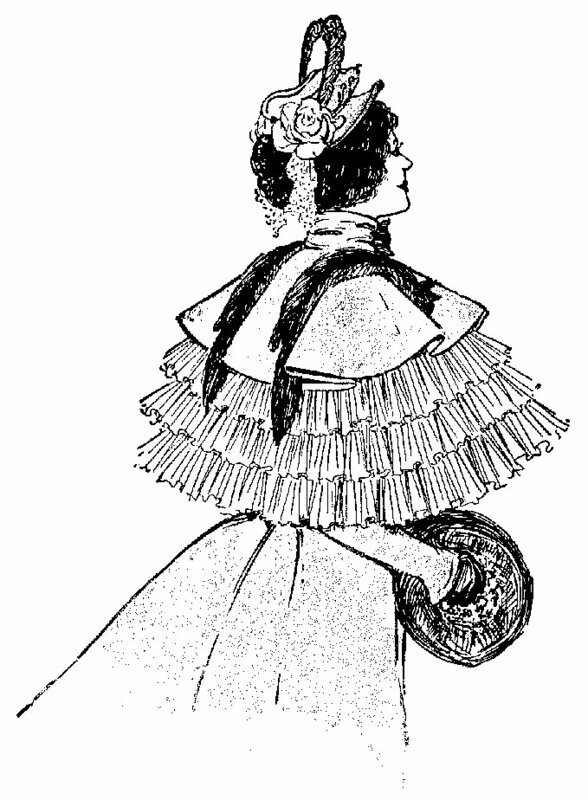 From the Preliminary: *note In the preliminary and in newspapers, the name is usually plural, Shortsleeves, however in French Courtemache is singular, courtes manches being the plural form. Q. Mr. Knowlton.) What is your full name? Q. Did you know Mr. Borden? Q. Did you work for him? A. I worked for him on different jobs, yes sir. Q. Were you working for him on the day that he was killed? Q. Did you see him on that day? Q. You remember the day, of course? Q. Where did you see him? A. In the building that he owns on So. Main street, No. 92. Q. What street is that the corner of? A. That is not exactly on the corner, sir, it is three buildings from the corner of Spring and So. Main. Q. Spring is the next street above his house? A. Above the store where we were working. Q. If you were going to his house you would turn down? A. He lives on the right hand side of the street, turned down on Second to the left. Q. Go towards City Hall? Q. It is between Spring street and the next one below it? A. Between Borden and Spring street. Q. Did you see him on some business that day? A. Nothing, no particular business; he dropped in there. I supposed he was on his way home at the time. We were repairing this store for Jonathan Clegg; and he came in there. Q. That was the store Clegg was to move into? A. Yes Sir, he is moving in some of the stuff now. Q. You were working in that store? Q. Did you have some talk with him? Q. Who was there with you? A. My friend James Mather. Q. How long did he stay there? A. Between three and four minutes I should judge. Q. Did you see which way he went when he left your place? A. I could not swear which way he went, but he disappeared in a very short minute, but he was heading towards So. Main, towards Spring street. Q. What time was that? A. It was between half past ten and quarter to eleven. Q. After half past ten? A. Yes sir after half past ten. Q. How do you fix that fact? A. My friend there stepped out on to the sidewalk, and he looked down to the town clock, we can see the town clock very plain from where we were, and it was twenty minutes to eleven then. Q. Was that before or after he had left? A. It was just after he had left. Q. You did not see him again after that? A. No sir we did not. Just in time for Lizzie’s birthday: the guide to Borden-related graves in Oak Grove Cemetery. 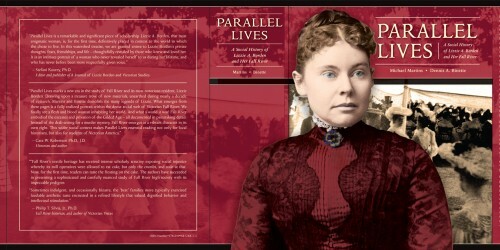 The booklet contains maps, biographies of people connected with the case who are buried at Oak Grove, three walking tours with maps of how to locate both minor and major personalities in the Borden story, a history of the cemetery, fun facts and trivia, who is NOT buried at Oak Grove connected to the Borden case, and articles on the Victorian celebration of death, symbolism on funerary statuary and much more! Designed in a black and white “Edward Goreyesque” style, the publication will go on sale July 19th. Pricing and outlets which will stock the guide will be finalized and announced here on July 15th.